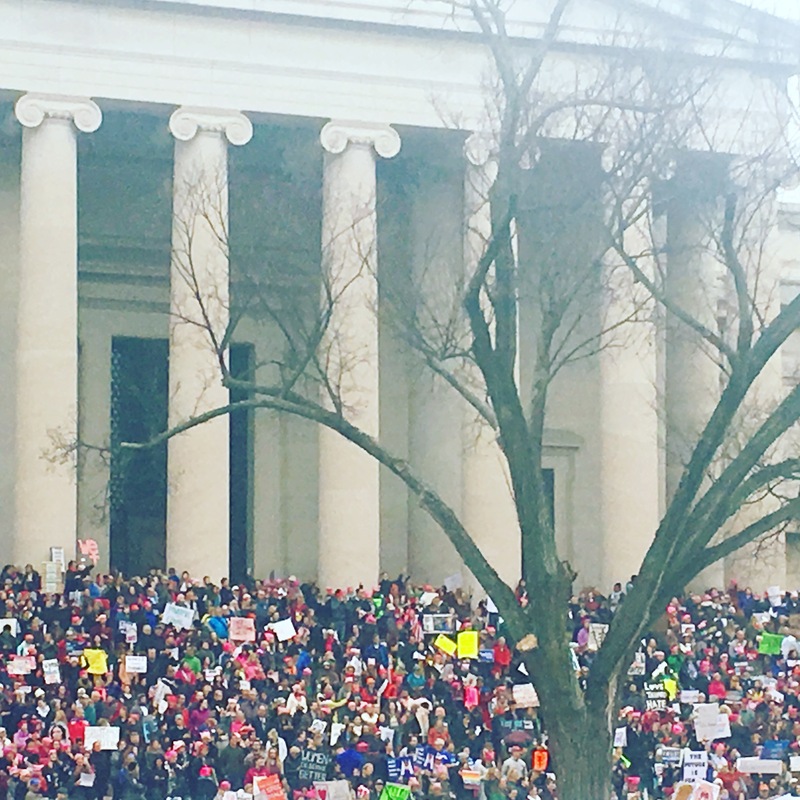 Millions around the world participated in marches on Saturday in support of women’s rights, a progressive platform, and a peaceful resistance to the incoming administration. 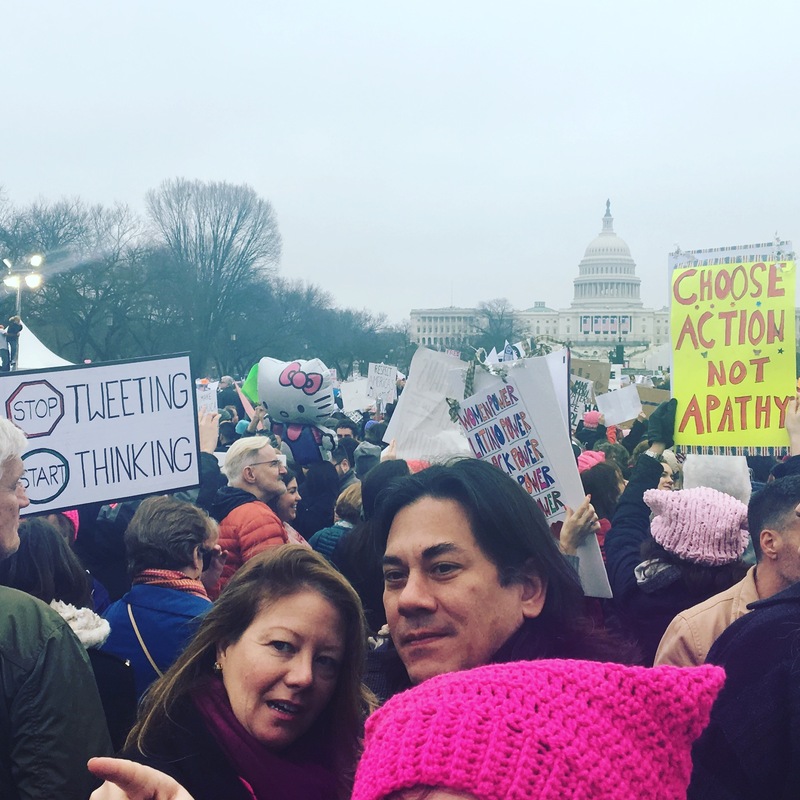 I was pleased to be one of the nearly one million participants gathered on Washington D.C.’s Mall lawn in front of the Capitol. Nearly 300 “Sister Marches” took place around the world in locations as far flung as Nicaragua, Kenya, and Colombia. Photos of these global gatherings can be found here. 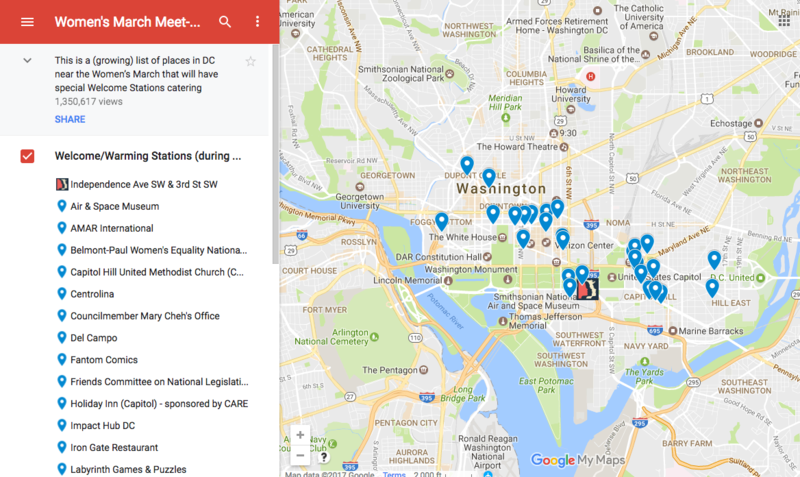 From an events perspective, the D.C. organizer really nailed many necessary considerations for large-scale public events, even with crowd counts soaring beyond expectations. Ample port-a-potties – Areas throughout the march route were stocked with bathrooms. In spite of a long day and close quarters, participants were respectful in the restroom line allowing traffic to move quickly and efficiently. 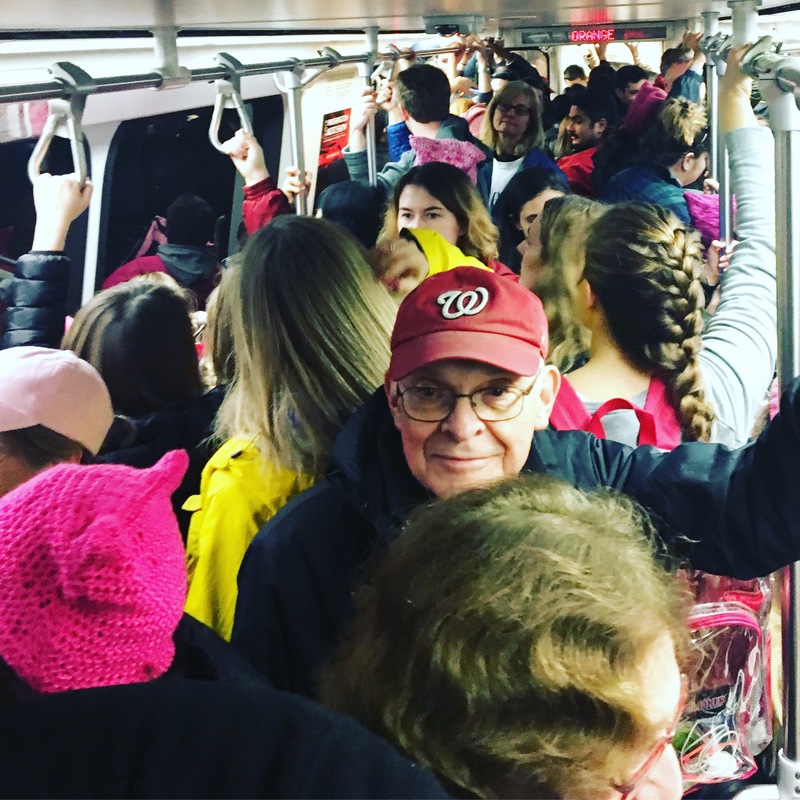 Public transit – The D.C. Metro stepped up its game (and its number of in-service weekend trains) to accommodate vast numbers. Police officers and transit workers helped marchers navigate the packed Metro stops. Marchers were also notified to purchase Metro cards by mail in advance of their visit to D.C. to prevent long lines. Pushing the attendees to public transit (Metro and charter buses) vs. personal vehicles helped reduce congestion throughout the District. Charging stations/warm-up areas – Organizers identified local partners to serve as rest areas throughout the march. These locations were marked on an interactive Google map, which was widely distributed through social media. Thoughtful communication pre-event via email, an app, and video – It is hard work coordinating hundreds of thousands of out of towners. The organizers created an app, informational internet videos, and developed an email listserv to distribute event details to the masses. Emergency Services – Police, EMTs, and health workers were stationed throughout the march to provide emergency support. I was pleased to see so many marchers thanking these workers who dedicated their weekends to the safety of the rally participants. My main suggestion from a production-perspective would have been audio support for the great line-up of speakers on the Mall, as well as strategically placed Jumbotron screens to see the action or convey directional information. Obviously such enhancements would add cost for equipment and labor. Further, scheduling the load-in of this AV might have been challenging on the heels of inauguration security. Thankfully the organizers livestreamed the speeches online for virtual participants, as well as those far from the podium. As anyone from Sequence would tell you, producing an event of this size is a bit of a logistical nightmare. Kudos to the organizing team and the committed participants for their contributions. It was a special day for all involved.